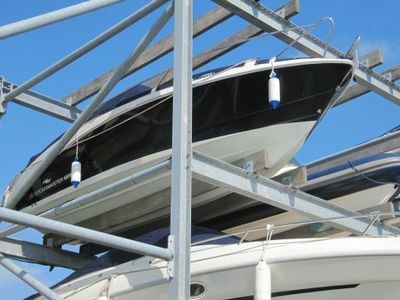 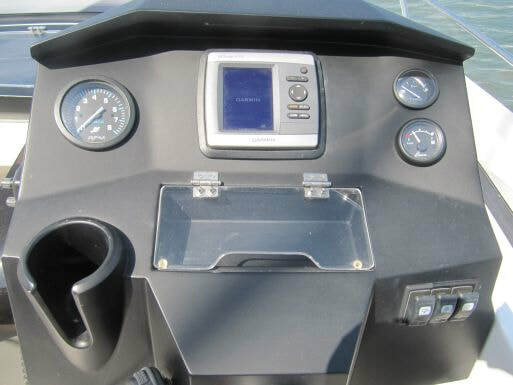 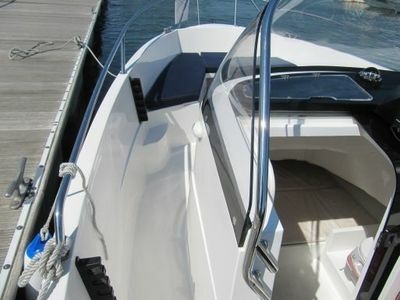 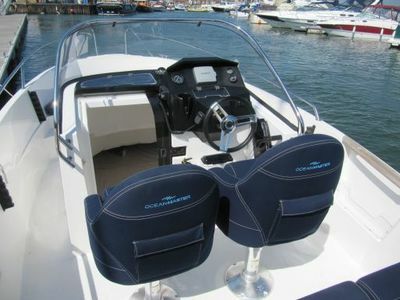 ﻿2013 Oceanmaster 630WA. 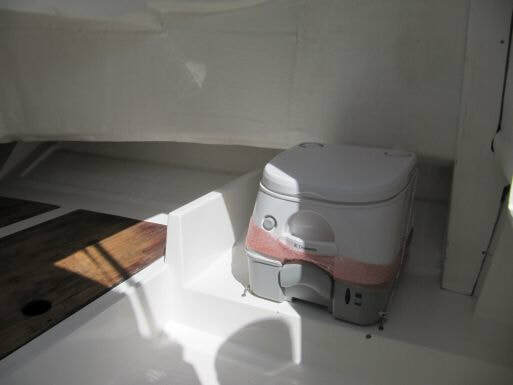 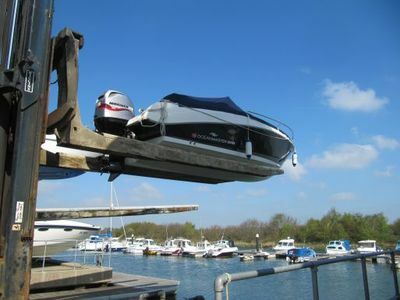 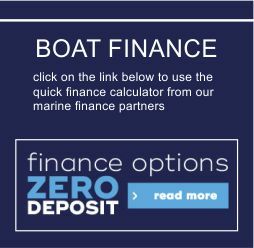 with 115hp Mariner four stroke outboard, dry stored from new, just one previous owner. 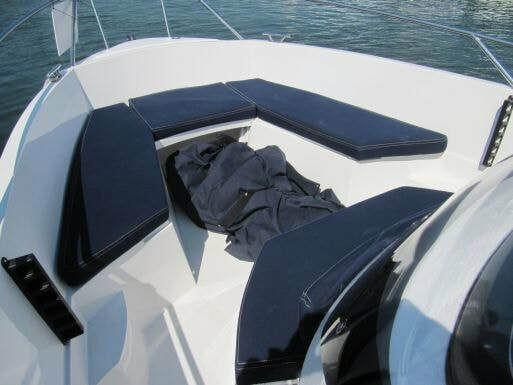 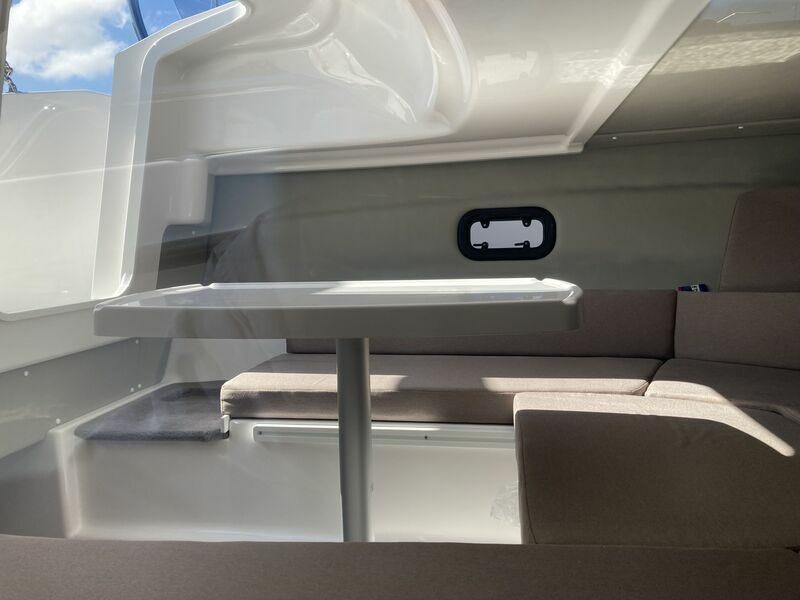 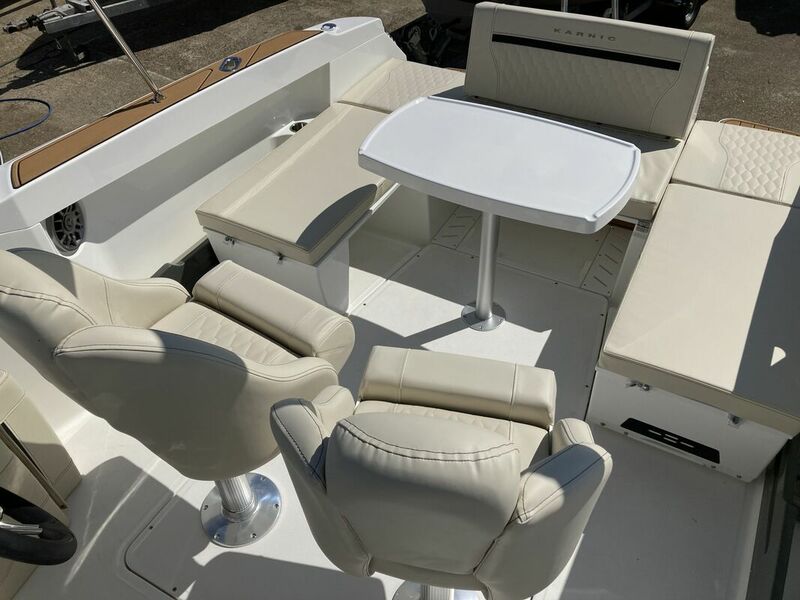 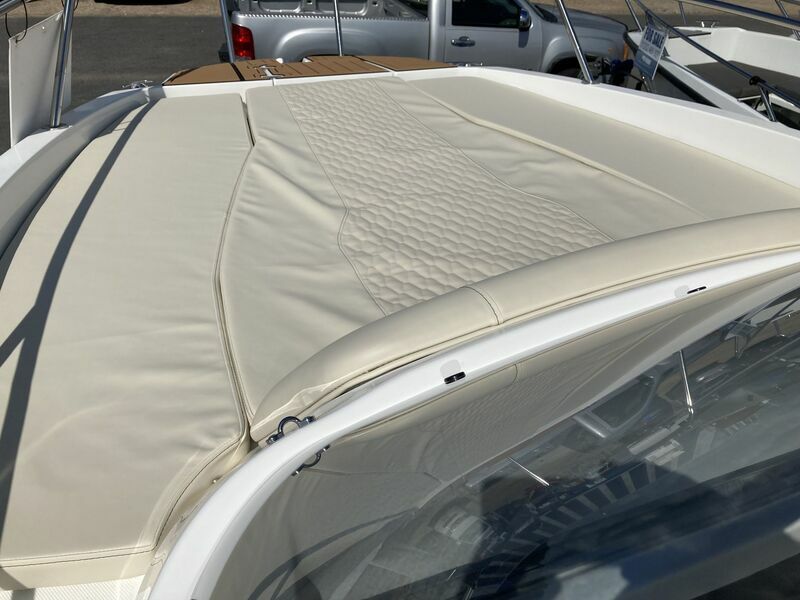 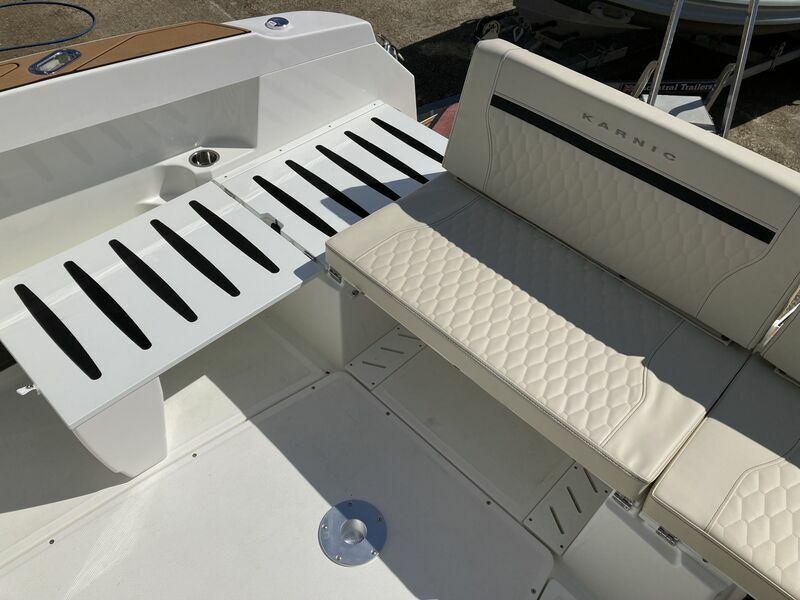 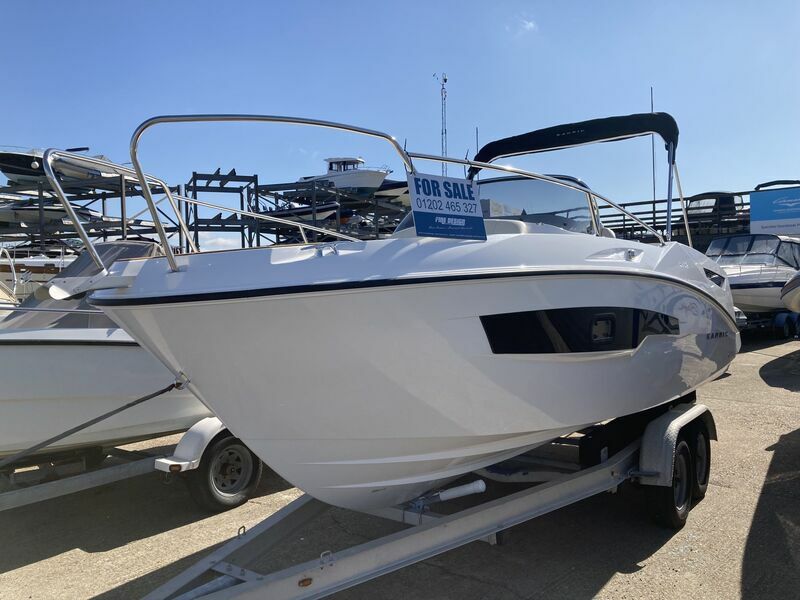 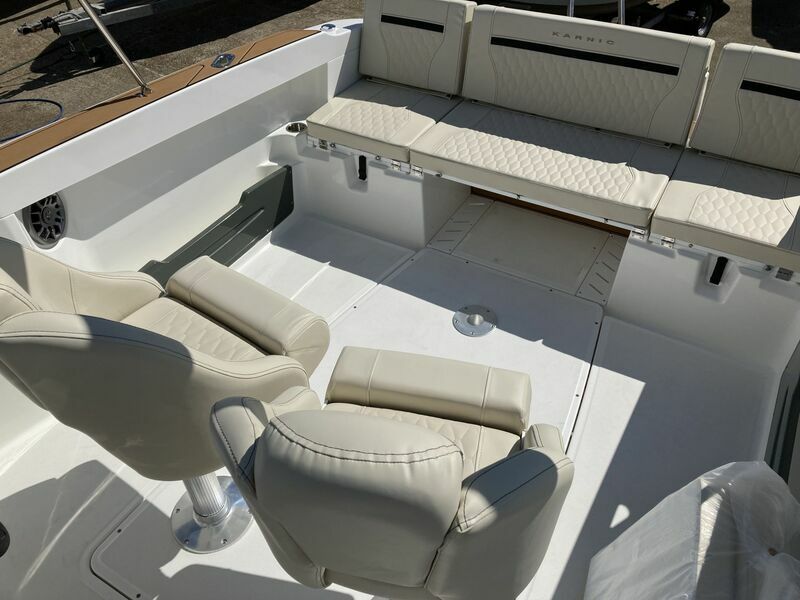 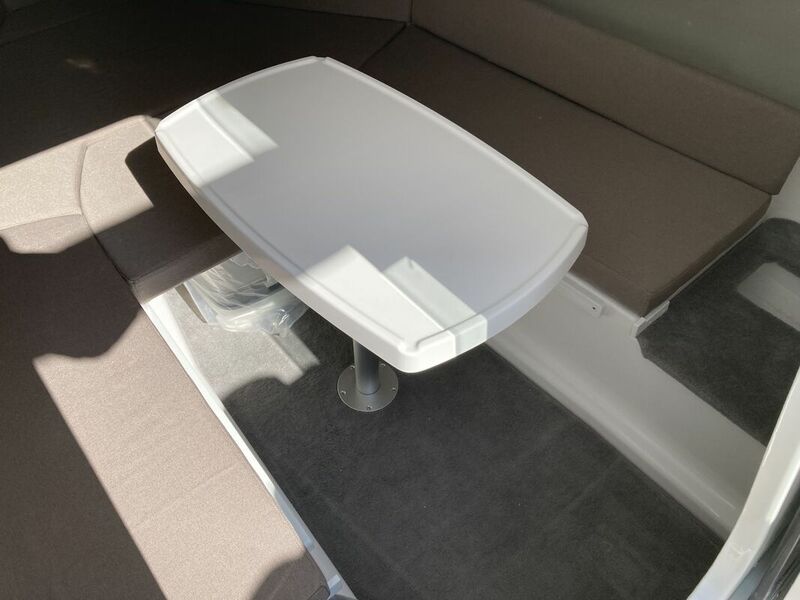 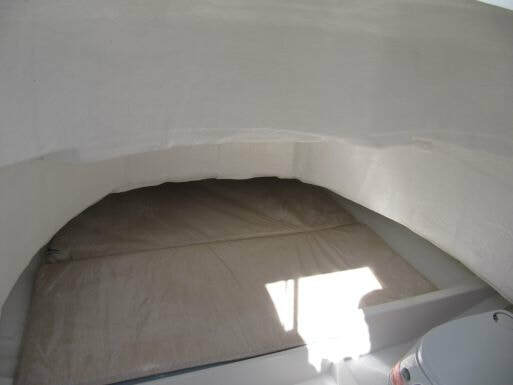 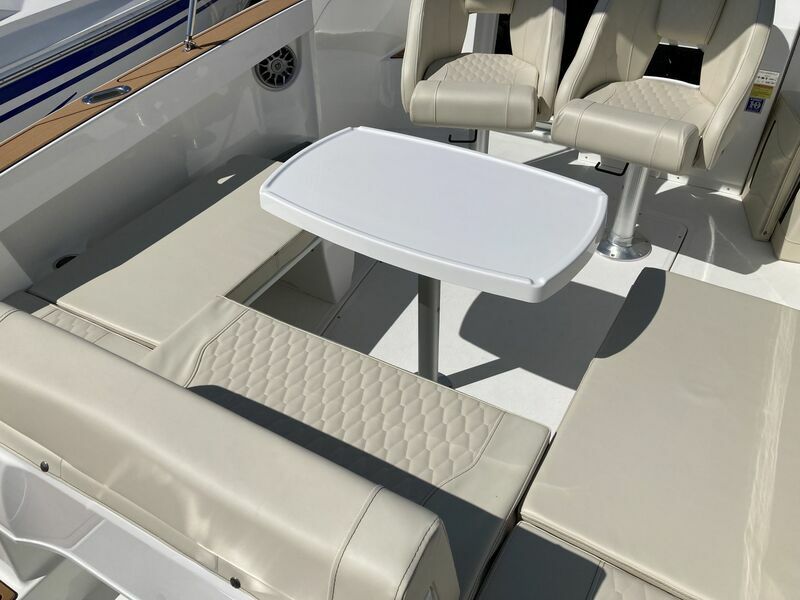 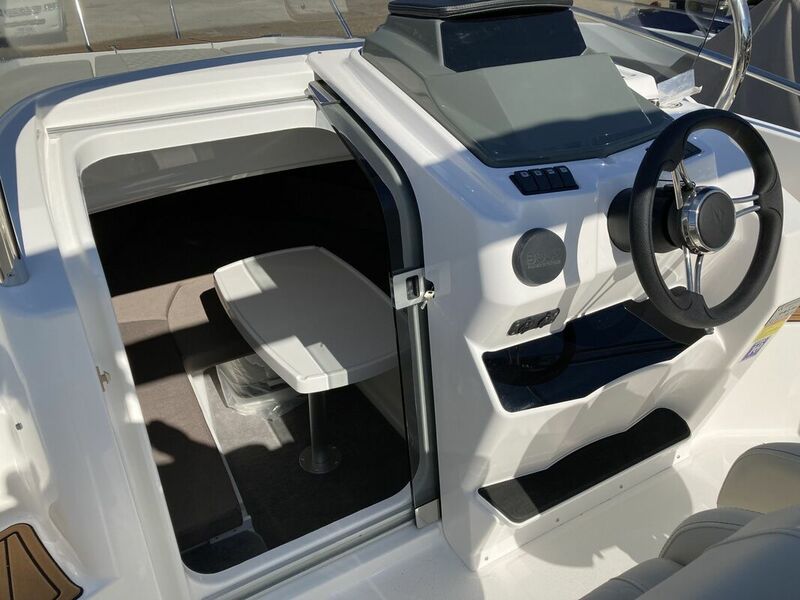 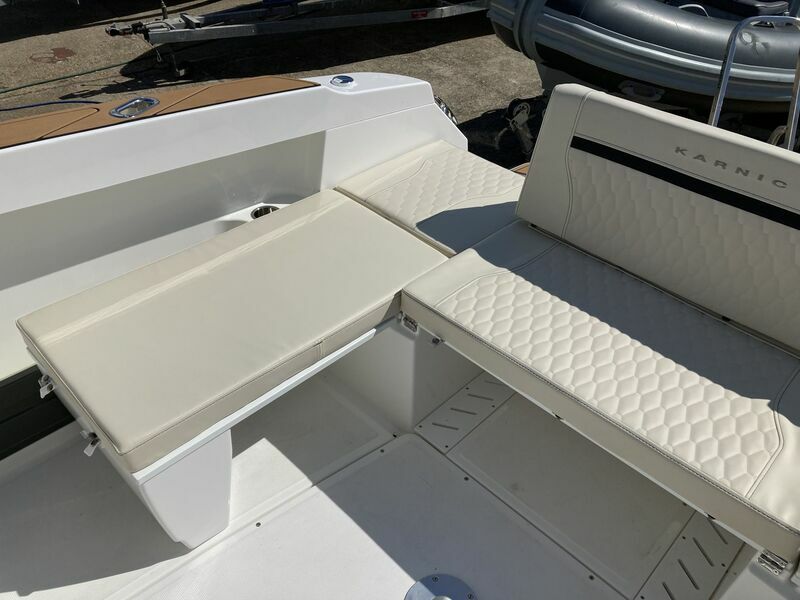 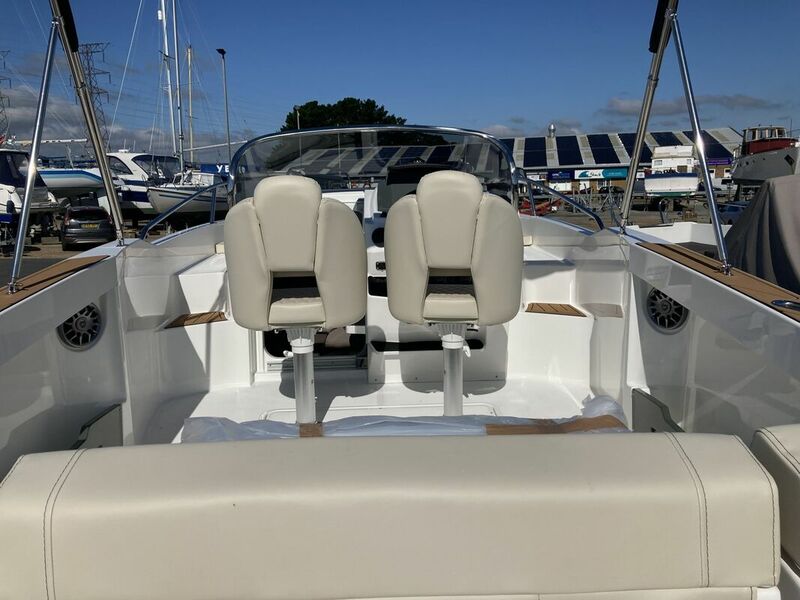 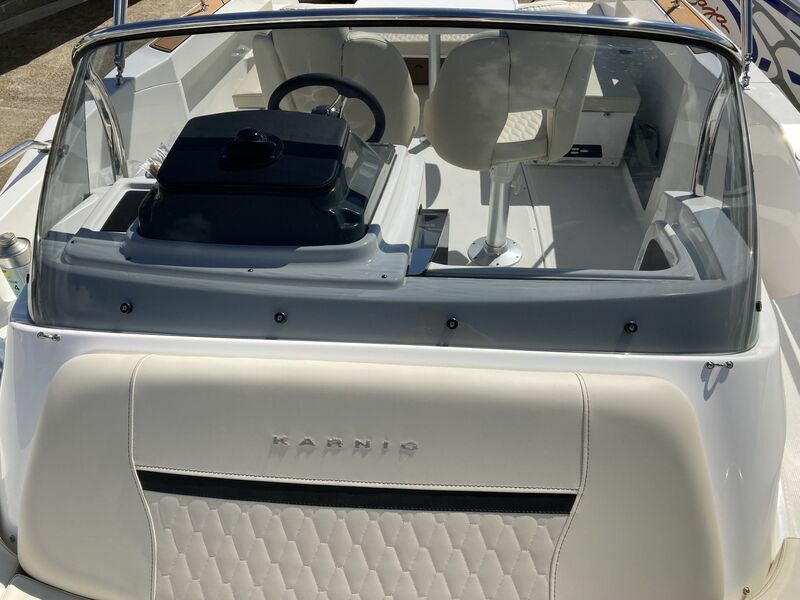 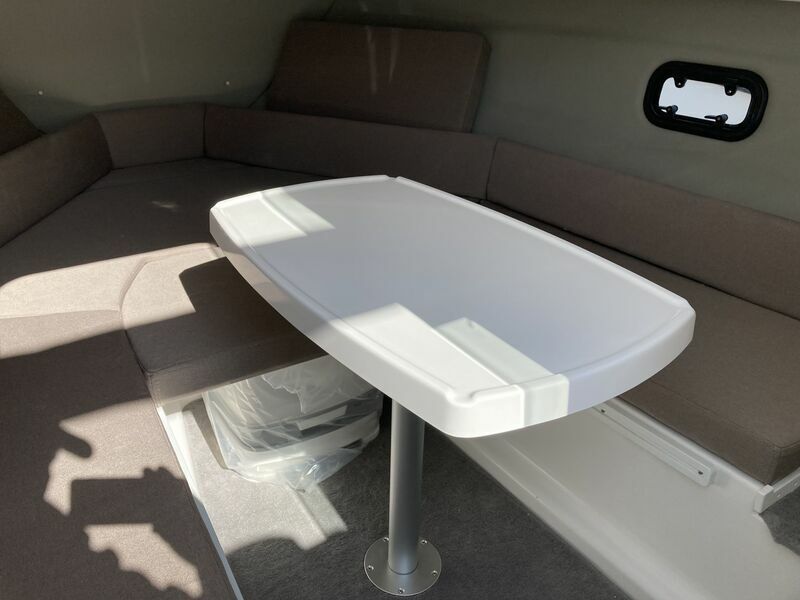 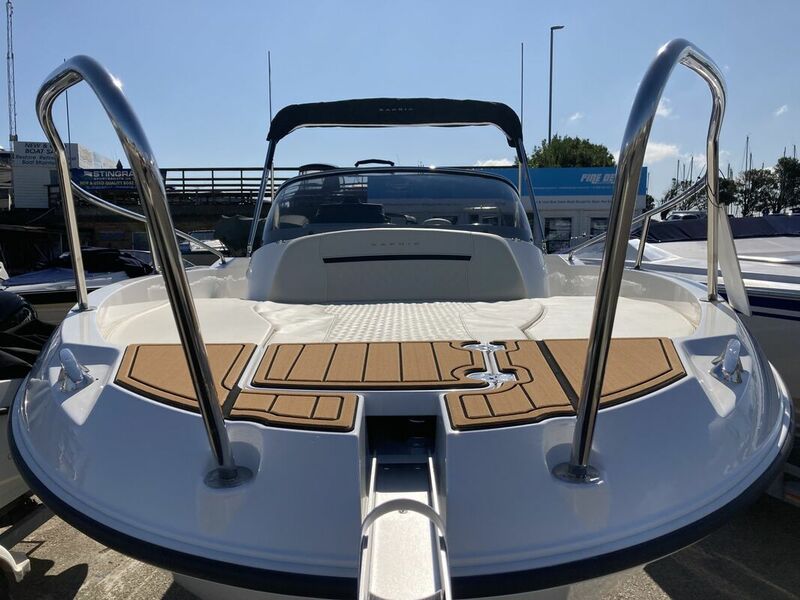 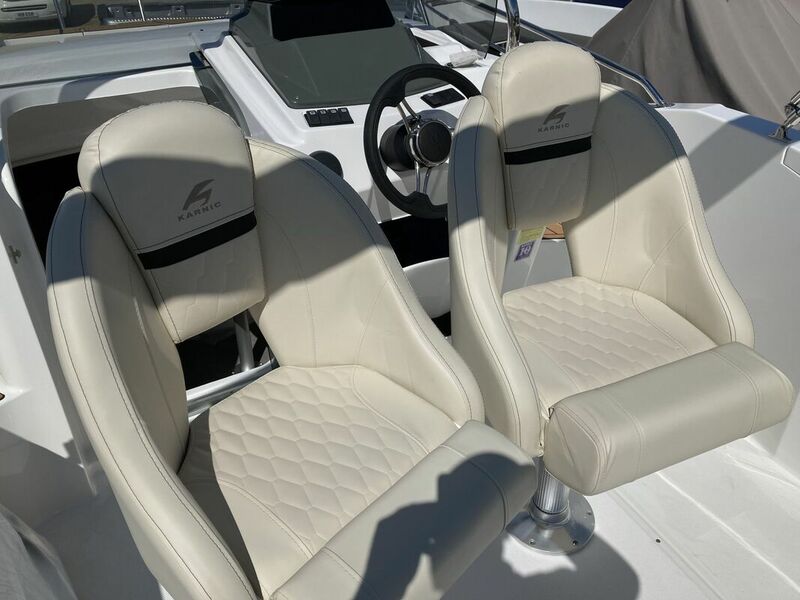 Featuring navy blue upholstery upgrade, forward sundeck and seating plus picnic table, cabin with chemical wc, new overall cover, VHF radio, hydraulic steering, stereo system, Garmin 5" plotter / sounder, Bimini top in navy blue. Low engine hours with comprehensive service history.